The Harriet Earring is sophistication at its prime. 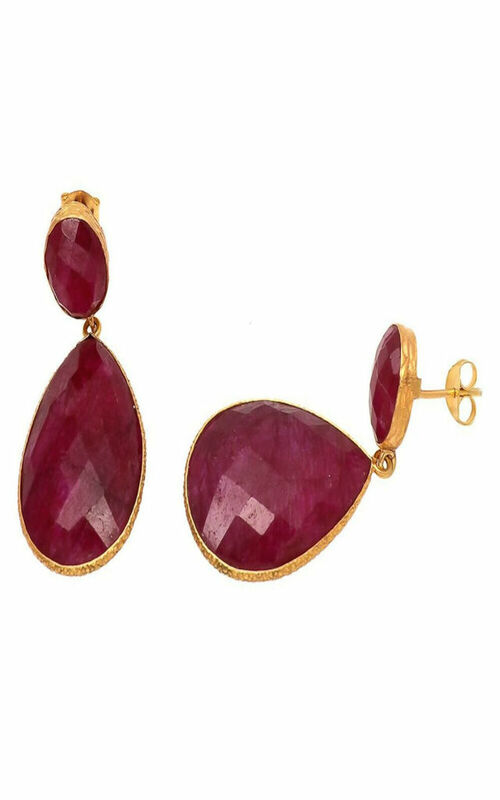 The rich wine colour of the gemstone enhances any evening outfit. It has a slight dangle effect. The earring consists of two gemstones, one small circle one and a larger oval one hanging down slightly.